Now that the National Football League is in full swing people are getting an overdose of over-the-top. Regular season games are promoted and pimped like a summer blockbuster. That last tweet by so-and-so is splashed all over the screen. Statements from agents upcoming and I'm sure he loves the city and wants to just get out there and play. Next up; did you know that 67.56873% of the teams that win game 5 of the season make the Super Bowl? ... okay, I made that up. The methods may change but promoting a sporting even is nothing new. What is new is what happens after the game or event. The lengths outlets go to make what you just saw special has now become part of the show. "This has never happened," or "only four times in history did that happen," is very common after games now. I'm thinking a lot of it has to do with access to information and data. Show someone how to filter an excel sheet or use a pivot table and you'll get a lot of horseshit out of the mouths of talking heads. 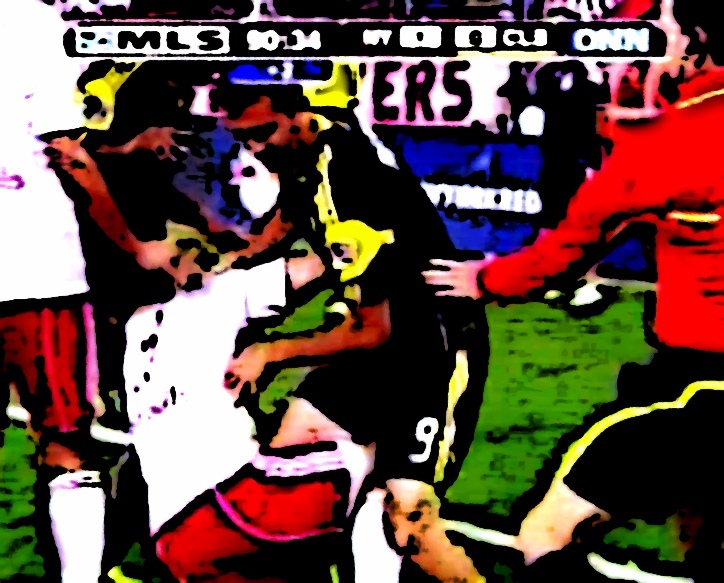 One of the reasons Major League Soccer employs the use of a playoff system is for these reasons. They want more games to matter to more markets. You see Chivas USA over there on the table? They have a 0.93 Point per Game average and are losing each game by an average of almost a goal. If you look closely you'll see that they are not mathematically eliminated from the playoffs. Christ. With four games left for most teams the second to last place team in MLS is still in the playoff hunt. Meram is on 826 minutes played this year and has put away 4 goals and 1 assist. On the surface, pretty good output. Dig a little deeper though and you'll find that once he hits 900 minutes he'll be in some rarefied air. Why use 900 minutes? It's 10 full 90 minute games and enough to separate the out of control points. If a player has 900 minutes he has played teams of varying difficulty home and away and has proven to be fit and durable. To put it another way, no luck involved in stats after 900 minutes in soccer. There is only one player in the top 35 in G+A p90 that makes less than 100 thousand dollars and his name is Justin Meram. The median salary for the folks in the top 35 is $218,750 per year. The average salary is $683,649.56 for this group. Six of the 11 players making over One Million dollars a year are in this over 900 minute / 0.54 G+A p90 club. Meram has vastly out produced the two players he directly competes with for regular duty in Dilly Duka (0.17) and Emilio Renteria (0.30). The knock on Meram is that he is more undisciplined than whomever starts over him even though his goal diff while he is on the pitch is one of the best on the team (+0.56). It could be that the knock comes from his 3-3-3 record as a starter but when you tease out the difficulty of opponents in those 9 starts you see a average of teams ranked 6th on the league table... this is the most difficult on the team (tied with Cole Grossman). Meram has only faced 1 team not in the top 9 when starting. His reputation as an inconsistent performer from team offices, writers, bloggers and league watchers probably stems from this, which is unfortunate. Did you know that Federico Higuain has only faced 1 team currently ranked higher then 12th in the league? Did you also know that in Milovan Mirosevic's 23 total starts he has faced 5 teams in the top 5? The same number Meram has faced in only 9 starts? The other reputation Meram has is that of "Super Sub". This one sticks for good reason, though. As a 10 time sub his "on pitch" is 7 goals for and only 3 against (as a 9x starter 8 for, 7 against). At the beginning of the year I flippantly ran a few FIFA 12 simulations and discovered that Justin Meram would be the team leader in goals with around 10. While I may have only been half serious it turns out that if Meram were to get 2065 minutes this year he may have hit that goal. Thats a little under 23 games (keep in mind that 3 of Meram's 4 goals came without the service of Higuain). While Meram's performance on the pitch puts him at another pay level you have to wonder if he'll get enough time on the pitch until his next contract comes around. His numbers say he should be getting more timeand shouldn't ever be out of the top 18 - but the Crew have been signing everybody and their teammates brother south of Mexico at Meram's regular spots. 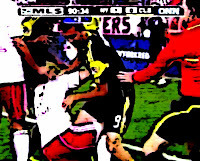 What's interesting to me is that they way the Columbus Crew attempted to fix a precived problem is to throw people (and money) at it when one solution might have been right under their noses. When you peel away all all the restrictive rules and all the competitive engineering the league puts into place you find players like Justin Meram. There are no "next level stats" or hour long pre-game shows to tease about performance as they look at coaches film. With MLS, you usually get a game recap from someone how watches the game once from field level, or on TV or in the stands writing things up. Looking at my timeline recenlty I notice more of a TMZ feel to the Crew, which is even further off course. Not exactly the kind of environment were players can get noticed for subtle on the field performance. What you have with Meram is a good player who has earned more time. 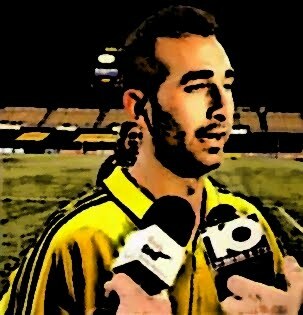 No outrageous numbers or hype machine exsists to point a light Meram's way. I guess we'll just have to see what the future holds.